Pardon the interruption as we prepare for the upcoming Leon Valley Soap Box Derby. *Evers will remain closed due to bridge construction until further notice. **We are expecting the road surface of the bridge to be complete enough to continue the Derby race. 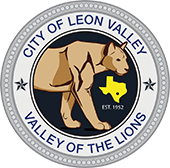 The City of Leon Valley is hosting its Inaugural Soap Box Derby on July 4th at 11:00 a.m. The race is sanctioned by the All-American Soap Box Derby Association, http://www.soapboxderby.org. The race will include a ¼ mile downhill route on Evers Rd. from Huebner to Poss Rd. The cars are official Soap Box Derby stock cars sponsored by local businesses including; Image 360, JB Woolf Sheds, Banis Towing, Tint World, Miracle Body and Paint, Richard’s Towing, Alamo Pizza, McCoy’s Building Supply, Intertek Automotive Research, Tint World, Alamo Truck Gear, Tiger Sanitation, Ameraguard, Image 360, JB Woolf Sheds, Pena Upholstery, and more. We have 18 cars in total for the big race! Local boys and girls were selected as drivers and are in training. Many of the drivers were selected by the businesses, or by the Fire Chief and Police Chief for their service in the community including; painting fire hydrants, removing trash from our park, and helping us with the retirement of flags. Other drivers were nominated by their schools for good behavior, grades and leadership. Regardless of who wins our race, these boys and girls are already champions! The car and drivers will be featured in the parade (starting at 9:30AM), and then lineup at the finish line for the opening ceremonies at 11:00 AM. Don’t miss the first race that immediately follows! This race has tournament rules consistent with the All-American Soap Box Derby that includes a bracket system and double elimination…. we will race until we have a champion! The trophy will be presented immediately following the race in the winner’s circle, where the current park entrance sign is on Poss and Evers Rd. The event is free and open to the public, and seating is limited. The roads will be closed, portable bleachers will be set near the intersections, hay bails against the outside curbs, and vendors nearby. Plan ahead to grab a great seat and cheer for these local champions! I’ve included several pictures of some of the Drivers, training and cars involved. Feel free to ask questions, thank you and stay safe! Visit www.soapboxderby.org, email l.valdez@leonvalleytexas.gov, or call 210-684-3219.